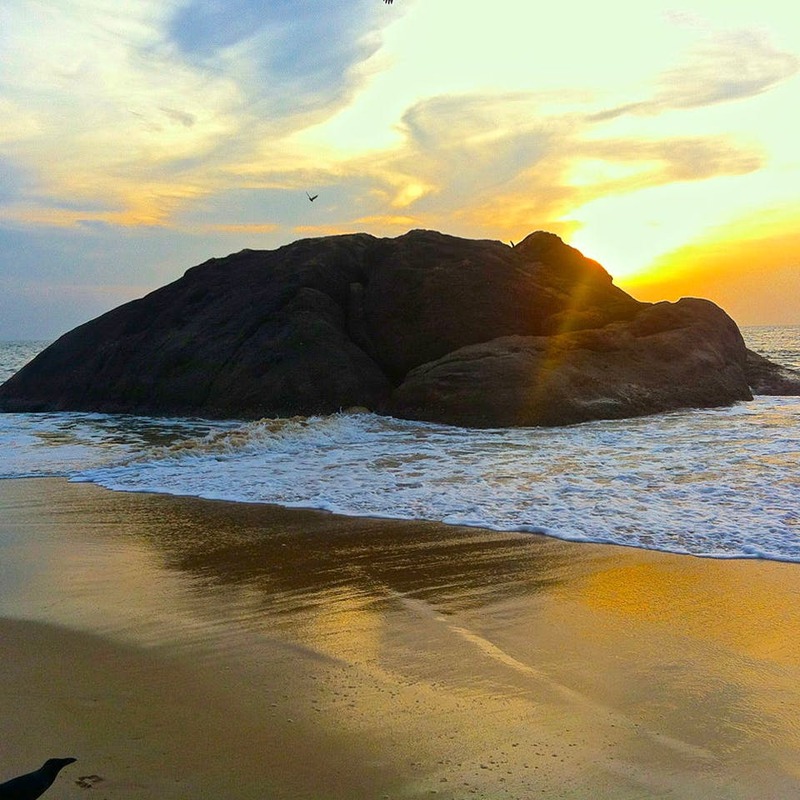 Apart from the popular cuisine and the many temples, Udupi is known for its scenic and less touristy beaches. Clean beaches where you can soak in some of that Vitamin C, and watch the sun rise and set. Also, with Udupi just about eight hours drive from Bangalore, hitting up our list of best beaches in Udupi is something that you can do with the gang come long weekends or even that quick getaway. Arguably our favourite beach in Udupi, Kaup or Kapu Beach as it is locally known as is where you can beach bum it up like a pro. For starters, you can go snorkelling and spot dolphins in the morning. Plus, don't forget to scale up the century-old lighthouse that offers some breathtaking view of sunsets and endless sea. If you are planning on staying here for the weekend, we recommend The Blue Matsya, which is right next to the beach. It's India's first beach to offer free WiFi, so beach lovers you can post that endless series of Instagram Stories while you are lazing around on the fine sand without having to worry about finishing your data. Malpe Beach is clean, easy to reach and the best part is, it's not crowded. Be sure to go on a ferry ride and eat some authentic seafood from the many restaurants around the area. Just off the coast of Malpe Beach, St. Mary's Island can be reached by a short ferry ride. The white sand beaches of the island are quite scenic especially with black rock monoliths all around it. Oh and don't forget to wade in the clean and clear waters. You'll need to pack a ton of sunscreen unless you don't want to end up looking like roasted coffee beans. Known as Kodi Bengre or Delta Beach, it's a short drive of about 45 minutes from Kaup Beach. It's a popular beach, but given its secluded location, there's not many tourists or people thronging the beach area. Walk by the shore or lay out your mat and catch up on some reading. At the end of the beach, you'll see how the beach gets its Delta name. Basically, Kodi Bengare Beach is the meeting point of the river Suvarna and the Arabian Sea and that stunning view of river meeting sea is something worth documenting. It's the postcard-perfect view that you will love about Maravanthe. You have Kodachadiri Hills serving as a backdrop, golden sands for you to dig your feet in, and the calm blue river lined by trees on one side. On the other side, you have the deep blue Arabian Sea, so find a spot, and capture the scenery before your eyes. Once you’ve had your fill of the seaside, hit up the beautiful Padukone Village, one of the must-visit places here.